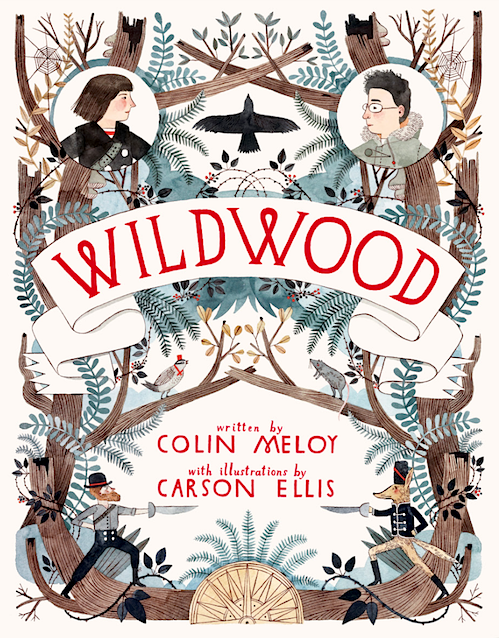 I'm a big fan of this cover by Carson Ellis. I like the how much she relies on shapes and design in a lot of her work, but in this case I'm really into her colors. I think this is a great use of a muted palette with a few pops of strong color, like the bright red and the dark grey, that keep it from being dull. The way she keeps it mostly teal and brown but still uses a variety of golds and orange-y browns is very nicely done too.